Egyptian food and beverage sector at risk? How can the pound devaluation, the rising prices and curbs on imports affect food and beverage sector? N-Gage offers analysis in this report. The Food and Beverage (F&B) industry is a key facet to the Egyptian economy, given that Egyptians spend 40% of their monthly salaries on food. 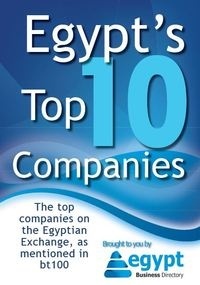 Egypt with a population of more than 90 million, represents a huge domestic market and the biggest in the MENA region, as well as a focal point for exports capitalizing on its existing Free Trade Agreements (FTAs) - COMESA, EFTA, GAFTA, Aghadir, EU Partnership, Turkey, QIZ, TFTA - making it an excellent production base. With a growing population, Egypt’s demand for F&B continues to rise, regardless of the political and economic situation. How can the pound devaluation, the rising prices and curbs on imports affect this sector? N-Gage offers analysis in this report.